According to NASA, there are fewer than 100 active astronauts right now, which is a pretty small target market. But, hey. 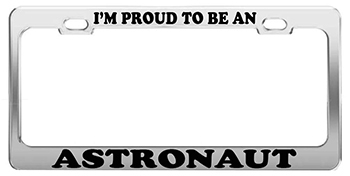 If you’re an astronaut, why not brag around the perimeter of your license plate?